the place was well maintained and clean.location was in the middle of everything in KW.loved the view every morning.I would recommend this place to anyone. We were delighted with this well cared for rental. It was very comfortable and met our needs perfectly. We traveled together with another couple, stayed 3 nights. Everyone was quite satisfied with the accommodations. Would readily stay here again. The condos were very clean and confortable. Would recommend this place to anyone who would like to stay there. The young lady at the front desk was so nice and helpful. The staff was very helpful and professional. The property was very well kept. Awesome Fishing Trip, the best ever!!! 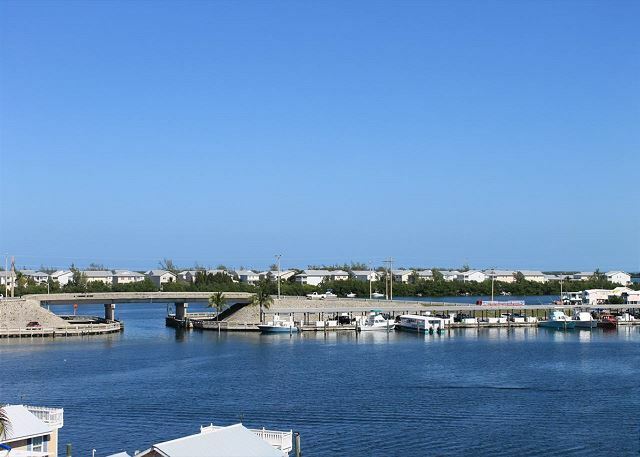 Great location for water activities ( fishing, diving, boating. This was not the first time we had stayed at pelican landing and not the last.the condo was spotless and the staff was awesome.the addition of bikes right on site is super convenient.we had a great time,the weather was great and there was no sign of any hurricane damage.key West is up and running! I have stayed here everytime I have come to key west. the last time I was here was in 2012 or 13. been coming here since about 2000. I believe the room was listed under willis marburger's name before. everything was great. good seeing friends that stay here and come down every year. If you are looking for a clean, spacious and convenient place, this is it! We came with two couples and a boat and had visitors within our stay. The grounds had it all for any boater... freezers for bait, ice for coolers and fish boxes, grills to cook your catch--everything! When not fishing, we took advantage of on site bike rentals, the pool and tiki bar. The balconies are huge and offer beautiful views of the sound. This was our 4th or 5th stay and not our last! Very nice property; well-furnished, very clean, and comfortable. Easy access with parking on-site. Enjoyed our time there, and would definitely return. The staff personnel were very helpful, and available; responded immediately to our requests no matter how minor. The only issue was the proximity of a new first responder site within a block of the residence. Not sure why they needed to activate the sirens immediately upon leaving the station, but they did, and this impacted the overall very quiet location. Hopefully that will be addressed by Management; they were aware of the issue. Nice accommodations. Easy walk to grocery store, several nice restaurants nearby. Bring your own laundry soap! Everything was in working order. Nicely decorated. We really enjoyed our stay at Pelican Landing. It took about 25 minutes to walk into town and had a beautiful view. The condo was clean and spacious. The beds were very comfortable. The pull out sofa was not attached on one side so it was not as comfortable as we hoped. The shelf on the fridge did give away when the door was opened (sadly we had a bottle of Titos go crashing to the floor). I would recommend this property and stay here again in the future. Great location, great place to stay. Loved the proximity to the pool and having the kitchen for breakfasts, etc. Room-mates loved having the washer-dryer. This condo served very well for my family on our Key West trip. It was close to Duval Street, pool which overlooked the Marina. Condo was spacious enough for my party of 5. Balcony provide lots of room for dinning and family time. The ladies in the management office were very helpful. 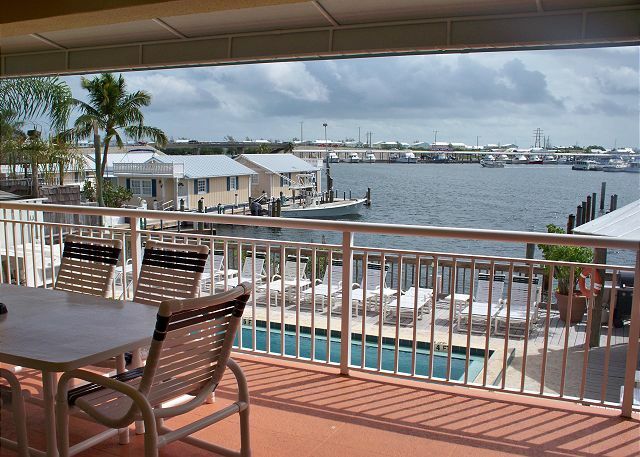 Pelican Landing has everything we need; cool, comfortable, and spacious. 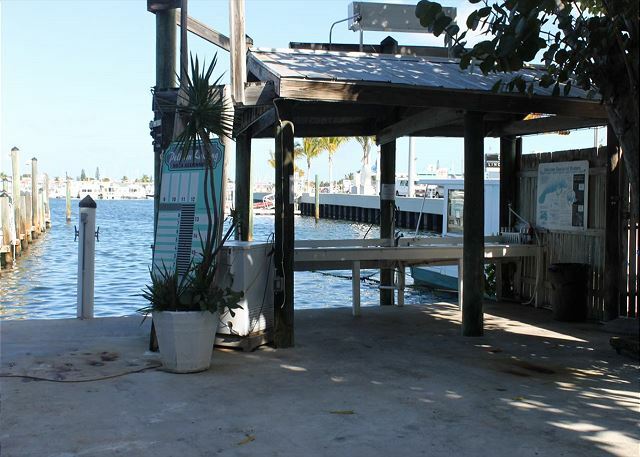 For our fishermen, the dock and cleaning stations are great. Been going there for the past several years and haven't found anything that comes close to what Pelican Landing offers. Enjoyed our stay and the staff was great. It got a bit loud a couple of nights but it was spring break time. The place worked perfectly for our group. The unit was comfortable and had enough space for all of us. We stayed 6 nights during this passed Christmas. We loved this place. It is well maintained. The rooms and the balcony are big, the location is good. You can walk to the city center, beaches, or any attraction in town within 30 minutes. The manager is very responsive. I highly recommend this place. Pleased with the vacation rental, would rent it again. Pelican Landing was a blast! The check in and out was the easiest I have ever completed. And the condo was so accommodating! We were 9 people total and never felt cramped. The location was phenomenal! 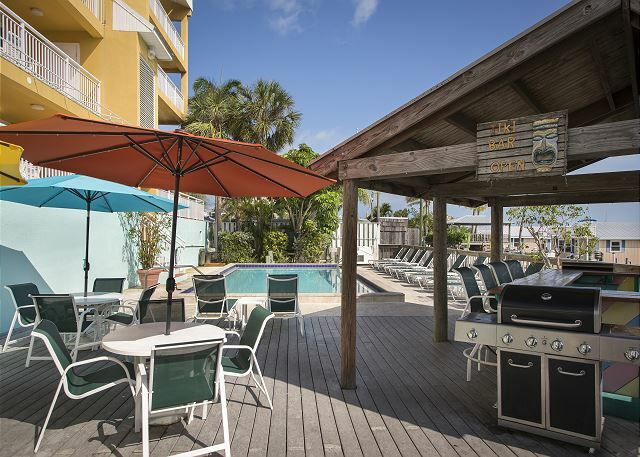 Walking or bike riding distance from Duval Street and all the area attractions. The pool area was great too! There were two grills poolside with a bar for us to use as well. We will be back for sure! This rental place was just great, my mom liked the kitchen because it had everything, all you need is food. You could walk to the pool from the back of the unit. The unit was clean and everything worked. All eight of us were able to sleep comfortably. Also the unit was very safe as you needed a key to call the elevator and the parking was well lit. Very clean nice place. Just a caution - don't count on the pull out couch bed! It slopes terribly and has lost its shape! Thank you for your suggestion. The owner bought a new sofa for this unit! My family of 15 came for a 50th birthday and stay in 2 rooms. This room, the Antigua, had old couch in living room that had peeling leather and the sleeper sofa was so uncomfortable we have to pile it high with blankets from both rooms. Fire alarm was not working properly. the room was very clean and breezy. loved having the breezeway between the two rooms. pool area was very clean. Perfect size for 6 adults. Close to everything, bikes are perfect from this spot. The pool is great for a quick dip and to lounge by. Sunrises are great off the back veranda. A most enjoyable stay was had by all! Obviously excellent stay as I have stayed here 3 times in 3 years. Management extremely accommodating when we decided to make a change. The sleeper sofa does need replacing as it was mostly useless. Hello, Glad you enjoyed your stay. We appreciate your feedback and we will have the sofa bed replaced immediately. Hope to see you again soon. 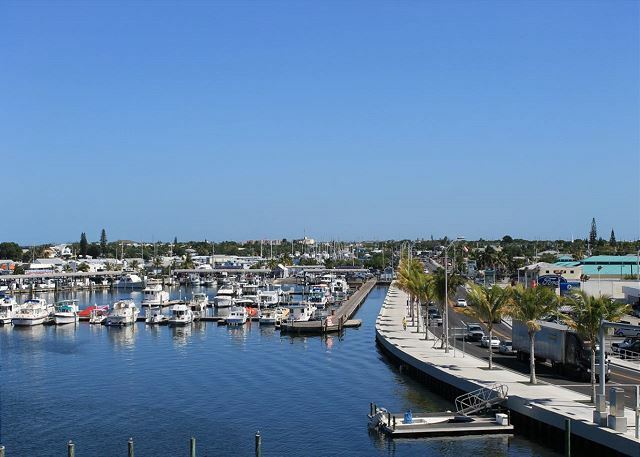 Perfect location to Old Town Key West. Very clean, quiet, and comfortable. Perfect for our crew. Parking, slip for the boat all easy. Not the Ritz, but a good valu. The street is loud and the smell of diesel fuel can be avoided if doors are kept shut. Would stay there again. Third time there and another great experience! Very convenient when bringing a boat. Sheltered dockage, very close ramp and trailer storage. The rooms are awesome. Love it here! As always, our stay at Pelican Landing was a fantastic experience. The rentals are comfortable, spacious, and clean. Parking was easy and the ride to Duval Street is relatively reasonable. I'd love to stay here again! Too short of a trip. Great location with a good view of the sound. Walkable to downtown/Duval area. Parking wasn't the greatest. Limited spots. They building seemed a little old, but everything worked and my friends and I had a good time celebrating a buddy's bachelor's party. We were very happy with our stay here. The bedrooms were large, the deck was a wonderful spot for breakfast and had a view of the harbor. There were six adults staying in this 2 bedroom unit and there was plenty of room for all. The location was probably less than a mile to Duval Street, certainly walkable. Second time we've stayed here this time with another couple. Accommodations were clean and the facility location very good! 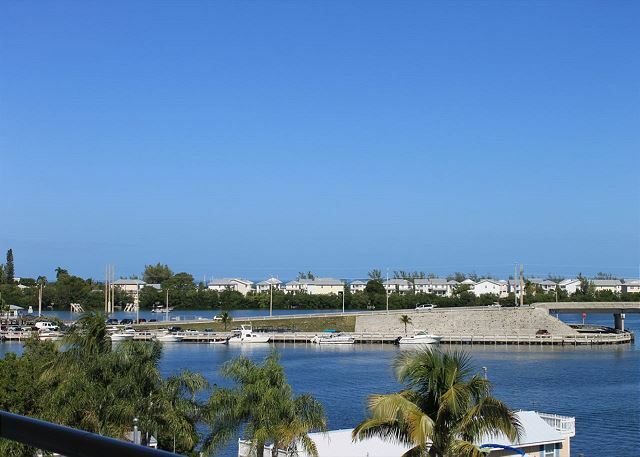 Pricing is in-line with most one night stays in Key West. Highly recommend this facility to any other travelers! We had a great time on our three days in Key West. Great time in Key West. Next time we will stay longer and will rent a boat to explore more of the keys. Many changes to Key West since my last visit in 1972. Duval is really changed and sadly the reef seems to be changing and that is not good! The apartment is very comfortable, better than the pictures show. The view and the location are wonderful. Careful with the sevices in Key West, everything very expensive. Negotiate the details in advance to avoid surprises. We had no issues with the rental process. Overall very good. Could have used a few more spoons even though only two of us! Manager addressed a noise situation in a timely and professional manner. I have been staying here since 1985, recent property improvements have been added. Units are in good shape and clean. The best place in Key West if you have a boat and need to load and unload every trip..
We had a very nice 4 day stay in a clean,quiet condo.The large balcony overlooking the pool was great! We will definitely come back! 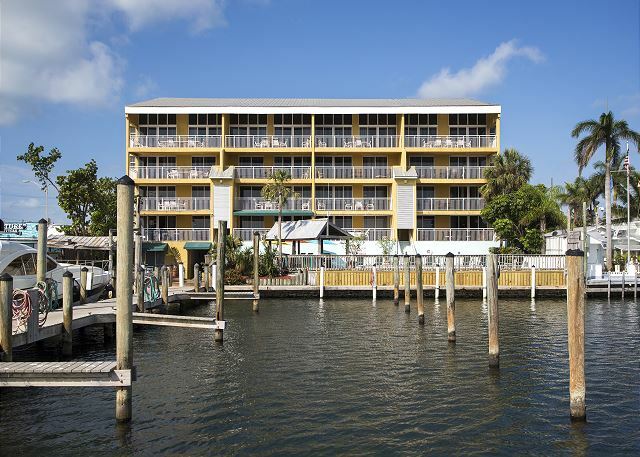 We have been going to Pelican Landing for the past several years. This has been the best experience so far. Any concerns we had were addressed immediately and the pool looks great since it was re-done. 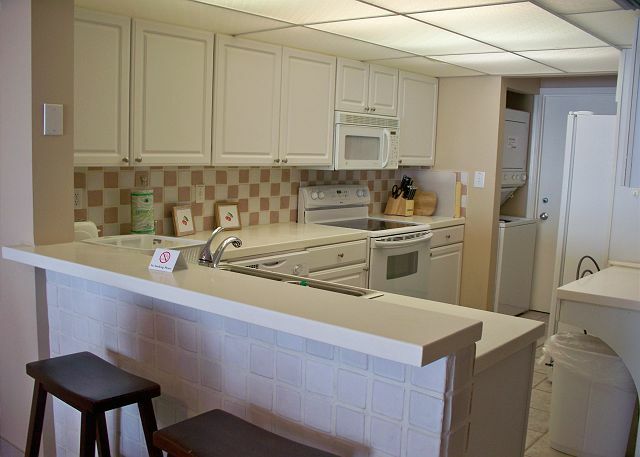 Clean, not fancy, beds comfortable, good location, walked daily to Duval St (25-30 mins). Saw dolphins and manitees from the dock. The Pelican Landing was a great surprise to all of us. The apartament was very clean, with a lovely view to the ocean. The apartment was very well equipped with all sorts of appliances. The lady from the realty was very thoughtful. I definattely reccomend this property to others. I would only suggest more attention to the elevator as a strange smell comes out of it, maybe because to its location, right above sea level. I had a group of friends come down so this was a great place for all of us to stay in. The suite we stayed in was clean and well kept up with. Everyone enjoyed having a pool so close to us. Also it was great being able to walk to the busy parts of Key West. Great stay overall! The property is centrally located and very close to the city's main action. We really enjoyed outrselves and would highly recommend this property. The property and room was very clean. The only issue we had was with the parking area. Had a wonderful time, staff friendly and helpful, quiet and would definitely go there again. It was close enough to the busy part of the Key without being in the busy part of the Key. We love Pelican Landing. If I were an owner though, I would be concerned about the condition of the swimming pool and deck area. The furniture is in good shape, but the pool itself and the deck area could use a lot of TLC. The attention to detail is not there. Also, attention to detail in our unit could be improved. The blender did not work, and the floors were obviously not cleaned after the previous tennant, pretty gross. A little bleach in the tub and/or new calking would make a big difference in both bathrooms. Love the new furniture though! Very nice decor. As I said, just details - we always enjoy Pelican Landing. I think this was our 6th or 7th time there, and we hope to return next year! Thanks. Great rooms with a great view. Only comment would be to have coffees cups in the room. Would love to come back again. Great place to stay.been staying there 5 years in a row.will only stay there. Location and rooms were fantastic! Very clean, quiet, low price, cozy place to rent a unit. Will come back in future. Excellent value, very roomy, very comfortable, very clean absolutely nothing negative to say. I completely enjoyed my stay at Pelican Landing Antigua Retreat, it felt like home away from home! I was completely amazed by the view from my suite! I loved that i had a private access to the pool! i love that i was less then 5 mins. away from the main street "Duval St." and other attractions. I love love love this place and wouldn't mind going again!